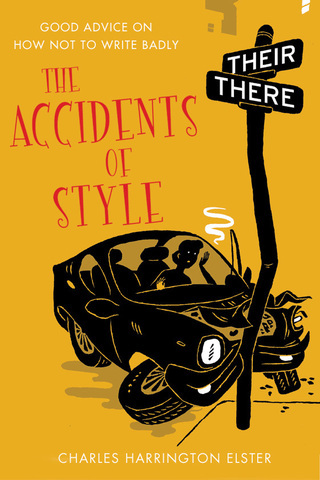 THE ACCIDENTS OF STYLE: Charlie's crash course in careful usage. Click here and order it now. What in the Word? 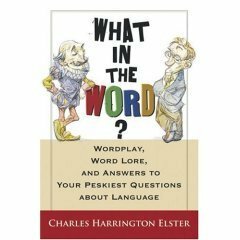 Wordplay, Word Lore, and Answers to Your Peskiest Questions About Language. A Novel Approach to the SAT and ACT. The challenging companion to Tooth and Nail, with more than 2,000 test words. Tooth and Nail: A Novel Approach to the SAT. Verbal Advantage is a comprehensive, graduated vocabulary-building program for adults. A lighthearted guide to some of the English language's most unusual (and unusually useful) words. If you'd like to book me for an interview or invite me to speak, you can contact me by clicking on CONTACT in the menu bar above or on WRITE TO CHARLIE under "Quick Links" (in the righthand sidebar below). Charlie answers questions about language on the Mandy Connell Show on KOA Denver 850 AM every third Thursday of the month for an hour. ALL THE 2019 APPEARANCES will be at 1:00 p.m. Pacific time, 2:00 p.m. Mountain time, and 4:00 p.m. Eastern time. You can hear the show streaming live or listen to a podcast later at www.850KOA.com. "Popoff with Mary Jane Popp," KAHI FM 104.5, AM 950, Sacramento, CA, Thursday, November 15, 2018, for a half hour between 6:00 and 7:00 p.m. Pacific Time. You can listen then or later at www.kahi.com (click "listen" and follow the easy directions). Or here's a link that I hope works: https://bbsradio.com/thepoppoffradioshow. KOGO 600 AM radio San Diego, with LaDona Harvey, Saturday, November 17, 2018, 12:10 p.m. PDT, for ten minutes. "Thorne and Cross: Haunted Nights Live," on the Authors on the Air Global Radio Network, Thursday, November 8th, 2018, at 2:00 p.m. Pacific, 5:00 p.m. Eastern. You can hear the podcast at this permanent link: https://soundcloud.com/authorsontheair/charles-harrington-elster-joins-thorne-cross-haunted-nights-live. Jefferson Public Radio's "The Jefferson Exchange," Tuesday, November 6, from 9:00 to 10:00 a.m. Pacific Time. The program airs on 13 radio frequencies across Oregon and California, and can be heard online at ijpr.org or http://www.ijpr.org/find-jpr-station. Charlie at the 2011 TwainFest in Old Town San Diego. Photo by Carmen Veronica Elster.